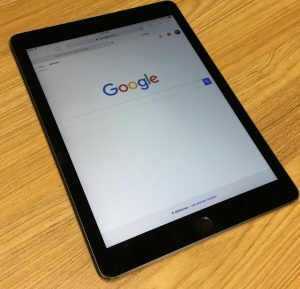 You may be asking yourself “How do I know if Google blocked my site?” They’re usually very open about penalties and consequences. If your company has been slapped with a manual Google penalty, you will find a notification in your Google Search Console dashboard. The notification will explain exactly why you’ve been penalized and whether or not it pertains to part of your website, or all of it. 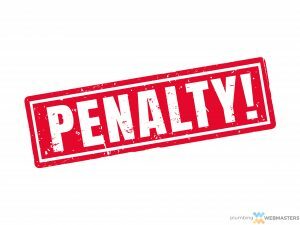 The good news is that Plumbing Webmasters can help you recover from this penalty, and prevent accidental penalties in the future. The process isn’t as simple as algorithmic changes, but it is something we can certainly handle. Call Plumbing Webmasters at (877) 388-9884 to learn how to recover from your Google penalty! While it may seem easier, creating a new website from scratch is not the answer. In doing so you are sacrificing every bit of SEO that your previous website established over the years. Still, for manual Google penalties, it is certainly an option. Plumbing Webmasters works with your company to determine your best course of action moving forward. If the penalty can be recovered from without creating a new website, we will facilitate that solution. If it cannot, we will help you start fresh with a fully customized plumbing website, optimized for search engines, and filled with high-quality content that adheres to Google standards. Plumbing Webmasters is the Google penalty recovery service you need for your online business to bounce back. If it turns out your rankings drop is the result of an algorithm violation and not a manual penalty, we’re able to help you recover faster. We are constantly up to date with Google algorithm changes so we can audit pages and identify the precise locations that require improvements. Our team of SEO experts has years of experience optimizing websites for plumbing contractors and can help you get started today. With our ongoing services, you can rest assured that your website will maintain good standing with Google and other search engines. Our content team crafts original and engaging text that enhances user experience while satisfying search engine bots. If you don’t have access to Google Search Console and are asking yourself “Do I have a Google Penalty?” or “What is a Google penalty check?” Plumbing Webmasters gets you the information you need. Our SEO experts audit your website and determine the root cause of ranking problems. We tell you whether or not you have been hit with a manual Google Penalty. If you have, we begin to help you recover and prevent similar occurrences from taking place in the future. Contact Plumbing Webmasters at (877) 388-9884 to ask about Google penalty checker and recovery service. Updated on April 9, 2019 at 5:00 pm by Plumbing Webmasters.